Job Interview: Preparation (02:05) � The interview is the most crucial step to getting the job. Job Interview: Defining Personal Goals (01:44) � Defining your goals is essential when pursuing a new career. Job Interview: Learning Opportunity (01:49) � Career counselors and recruiters discuss a few dos and don�ts with job interviews. Job Interview: Practice (01:33) - Rehearsing before the interview is always a good idea. Job Interview: Getting Ready (02:02) � Dressing appropriately is essential for the job interview. Job Interview: Getting Started (01:23) � The first few minutes of the job interview are the most important. Job Interview: The Questions (02:08) � It is important to communicate quickly and powerfully at the start of the interview. Job Interview: Questions and Conclusion(02:05) � Be sure to ask questions as the interview is progressing. Job Interview: Follow-Up (01:47) � Write down any information you obtained as soon as the interview. Job Interview: Success (02:05) � Send a thank you note if you don�t obtain employment. 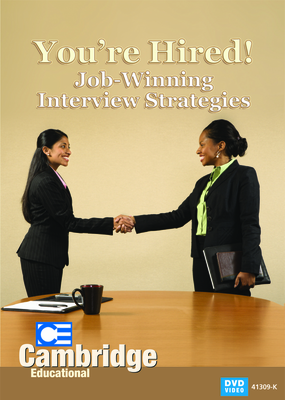 Job Interview: Summary (00:50) � You need to research, have self-understanding, and prepare for your job interview.